Paul Robeson was an actor and performer, a champion athlete, a committed communist, a brilliant speaker, and a passionate activist for social justice in America, Europe, and Australia. Hailed as the most famous African American of his time, he sang with a voice that left audiences weeping, and, for a period, had the entire world at his feet – and then lost everything for the sake of his principles. Robeson’s storied life took him from North Carolina plantations to Hollywood; from the glittering stages of London to the coal-mining towns of Wales; from the violent frontiers of the Spanish Civil War to bleak prison cells in the Soviet Union; from Harlem’s jazz-infused neighbourhoods to the courtroom of the McCarthy hearings. Yet privately Robeson was a troubled figure, burdened by his role as a symbol for the African American people and an international advocate for the working class. His tragedy was to battle ambition and uncertainty, ultimately clinging to his beliefs even as the world changed around him. As optimistic ideals of communism turned to repression under the Cold War, his public decline mirrored that of the world around him. Today Robeson is largely unknown, a figure lost to footnotes and grainy archival footage. But his life, which followed the currents of the twentieth century, reveals how the traumas of the past still shape the present. Jeff Sparrow follows the ghosts and echoes of Robeson’s career, tracing his path through countries and decades, to explore the contemporary resonances of his politics and passions. From Black Lives Matter to Putin’s United Russia, Sparrow explores questions of race and representation in America, political freedom in Moscow, and the legacy of fascism and communism in Europe. 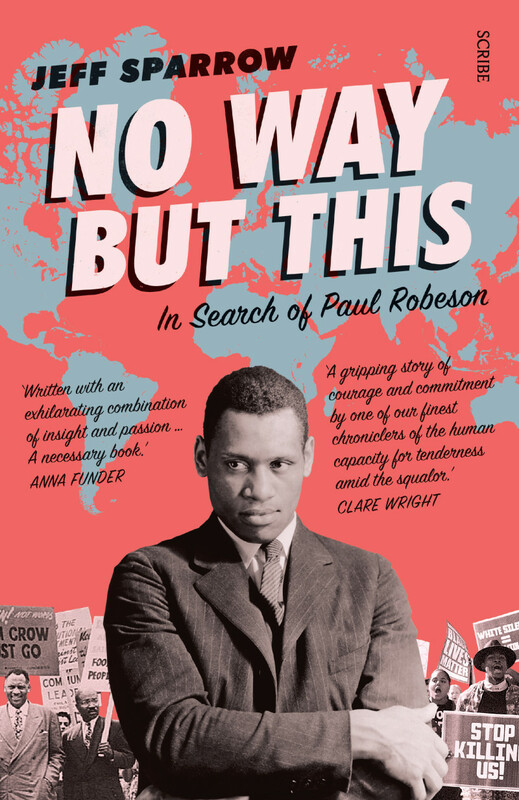 Weaving travelogue with biography, In Search of Paul Robeson is a story of political ardour, heritage, and trauma — a luminous portrait of a man and an urgent reflection on the politics that define us today.